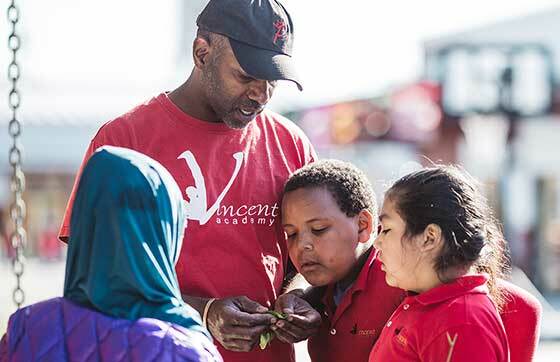 Down the street, Rodney Spencer at Vincent Academy Elementary School has a different idea. 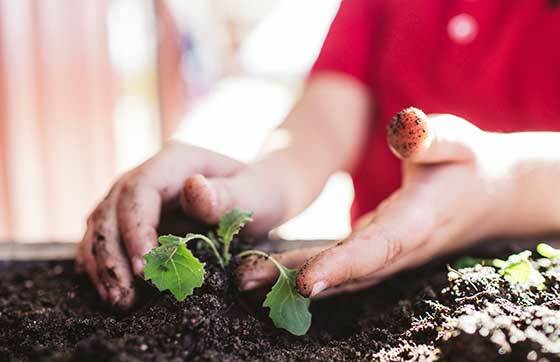 Rather than forfeit a generation of kids to a lifetime of bad eating habits, he’s out to cultivate life-long understanding and appreciation of food by engaging kids in a comprehensive garden-to-fork program. In this program, kids go from an environment of nutrition vulnerability to one of self-reliance and sustainability. Organic gardening also teaches students about ecosystems, living organisms, and healthy soil. They see that food can be sustainably produced without toxic pesticides and genetically-modified seeds. They learn three important lessons about the food they grow: they know what’s in it, they have control over it, and it’s good for them. Healthy, organically-grown foods begin can begin to replace fast food and unhealthy snacks. “We are hands-on. This is a comprehensive program. We grow it, cut it, cook it, and eat it.” Rodney tells us. 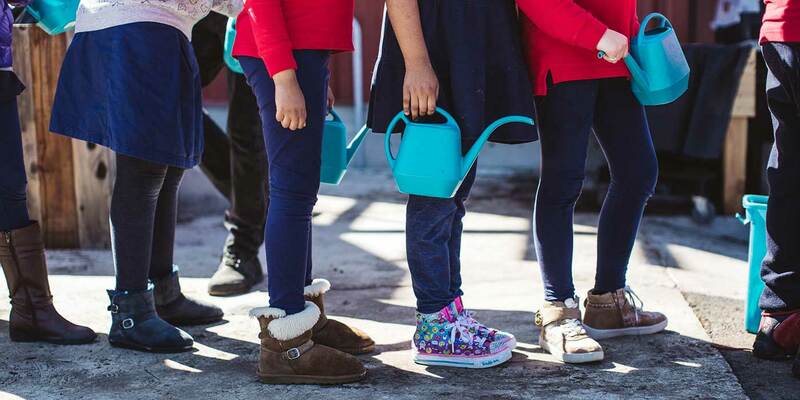 “Until we start eating healthier, we’re not changing lives.” And this is the real goal of the gardening and nutrition program: making lives better. The kids also cook their own food and learn that, when it comes to taste, it’s not the vegetable, it’s how you prepare it, that makes all the difference. “In the garden we ask kids to really take the time to taste things right there when they’re fresh and describe them to me. What does it make your mouth do?” When one of his students, Karina, bites into a gooseberry her eyes start blinking really fast. “My tongue went crazy! My eyes went crazy! It was fun!” Lesson learned. Simple food can light up the senses – and can taste good too. The program also shows the kids how fun it can be to prepare food, then sit down and enjoy it together. 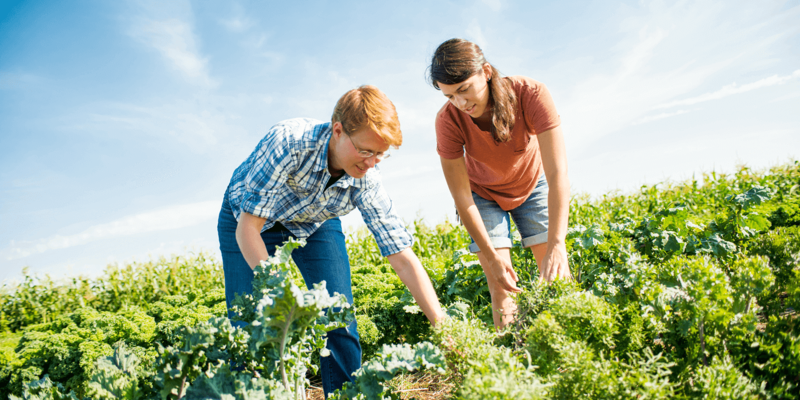 They see firsthand the important role food plays in building strong communities. 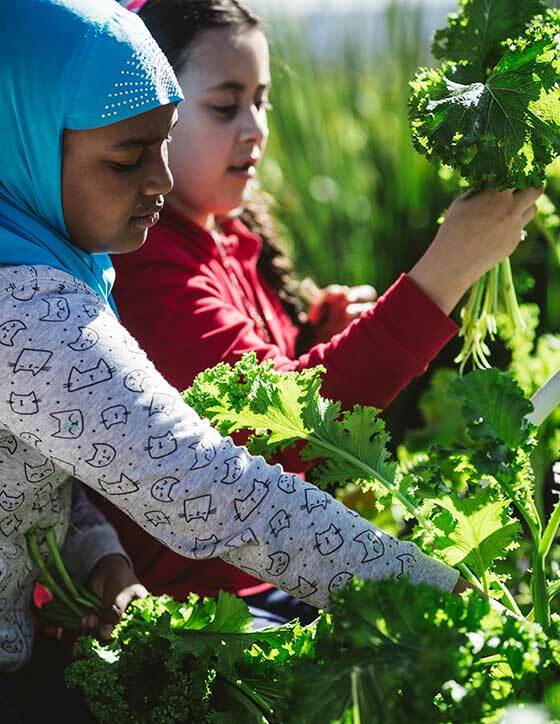 And once the kids have been through the program, they are able to take what they’ve learned back to their communities — they can teach their families about locally grown organic produce and all its benefits. 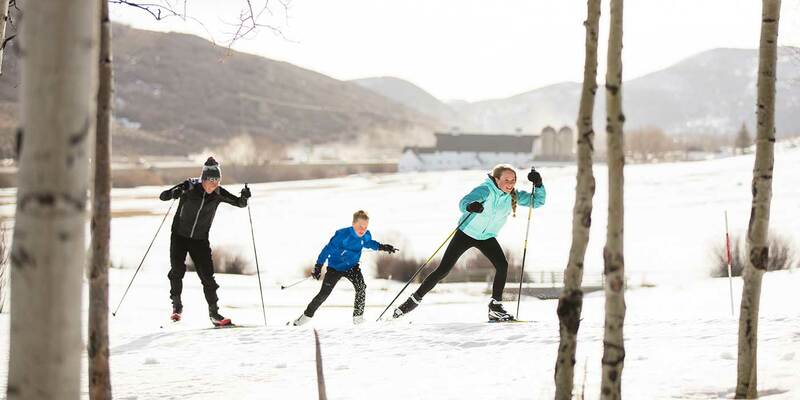 In the process, they develop independence, self-reliance, self-confidence, and community values that will serve them well the rest of their lives.